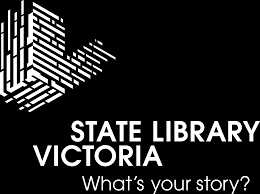 State Library Victoria’s (SLV) free World of the Book exhibition has reopened, with more than 300 additional items on display including some never-before-exhibited material. Rare books historian and exhibition curator Anna Welch said the collection spans thousands of years of human history, from the first written texts to the digital present. Other exhibition highlights include never-before-exhibited scripts and props from the iconic 1975 film Picnic at Hanging Rock; a display featuring the work of three internationally renowned Australian designers; the history of iconic Melbourne publishing house Sun Books; and a concrete poetry display featuring sculptural and printed works by Australian poets. The permanent exhibition in the Library’s Dome Galleries is open on limited days until 31 December, due to ongoing renovations at the library. For more information and to check open dates, click here.